"... a groundbreaking encounter between jazz piano and the sonic resources of contemporary classical music, between American tradition and the European avant-garde." "... the double trio isn’t a sextet making twice as much sound as a trio. Rather, it functions as a three piece band with twice as many ideas." This rare double trio configuration brings together two pianists, two bassists and two drummers; the result is a multi-faceted collaboration with opportunities for various combinations of duos and trios as well as full group interaction. The music has its moments of abstraction, its moonlit soundscapes, but also embraces a jazzier aesthetic on the Monkish/Lacyish Night for Day. 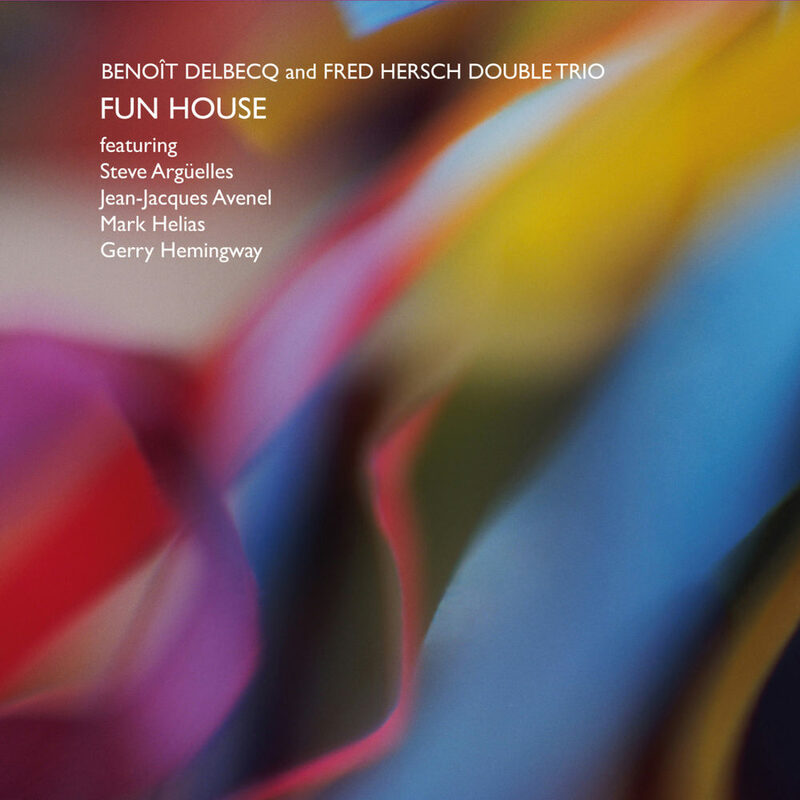 The two fantastic pianists who sparked this 2013 release, both winners of the Grand Prix du Disque for jazz, are Fred Hersch and Benoît Delbecq. In 2008 Hersch attended one of Delbecq's gigs in New York. Mutual fans who wanted to work together on something "novel and a bit outrageous,” Delbecq came up with the idea of a double trio.